You're getting the best from Sears - Professional Tile & Grout Cleaning, Recoloring and Sealing. 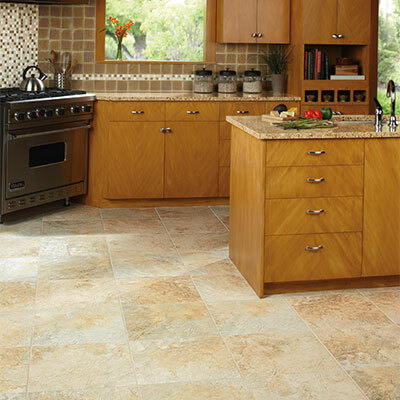 Due to its durability and aesthetic charm, tile flooring is a common option for kitchens and bathrooms. While new tile flooring looks great, over time, the grout lines between tiles become dirty by absorbing water and liquid detergents from mopping. In fact, regular mopping can actually make grout lines look worse over time. This occurs because the mop water used to clean a floor will seep into grout lines and stay there. Without professional cleaning, your grout lines will continue to accumulate dirt and grime, discoloring the look of your entire tiled floor. Homeowners often struggle to remove the dirt from their discolored grout lines. That’s why Sears offers professional tile and grout cleaning. Our trained technicians use powerful extraction equipment to do what ordinary mopping cannot. Sears technicians use advanced cleaning equipment, cleaning solutions, and high-powered vacuum extraction to loosen and remove embedded dirt from the grout. Porous grout naturally absorbs, oils, grease and mopping cleaners, which leads to discolorations. To help prevent grout discoloration, you should have a clear sealer applied after every professional tile and grout cleaning. Grout sealant is transparent, meaning not only will it protect your grout lines, but it also won't affect the coloring, so your grout will continue to look great while being protected. Your Sears technician is specially trained to apply the best grout sealer with the most advanced techniques. Once grout sealant is applied, you'll have an easier time maintaining your grout lines in between professional tile and grout cleanings..
Just as carpets and upholstery need cleaning to revitalize color and renew that clean feeling, so too do your tile floors and grout lines. 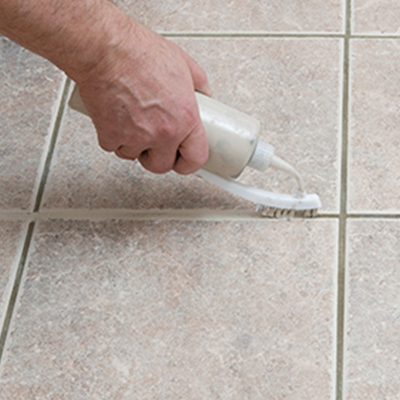 To revitalize your grout lines, consider grout recoloring. 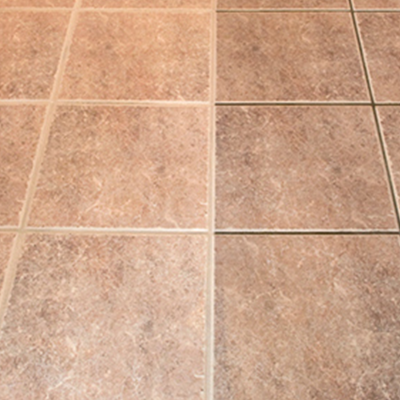 Grout recoloring is a great option for older, discolored grout that has suffered from wear over time. By having the grout recolored, you'll recapture the original look your tile floor had years ago. On the other hand, you might want to incorporate a new color into your grout lines to give your kitchen, bathroom, or living space a whole new look. In either case, grout recoloring will renew the vibrancy of your tile flooring. We use only the best grout recoloring products and offer grout sealing services to keep your grout looking like new for years to come.